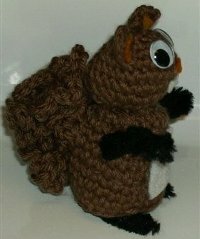 Momwithahook has created this very cute squirrel amigurumi pattern or us to share. 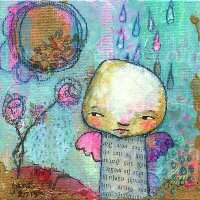 Hope you like this one, Nicole! Hi, I'm Rita from Spain. I've just started to learn crochet a few weeks ago. And searching some easy patterns trough internet, I've just discovered your blog. Perhaps I'll start a blog to show my own progress with crochet. Would you mind if I put a link to your blog in mine? Anyway, when I start the blog, I will notify you , of course. Thank you, momwithahook, for sharing with us! This looks adorable. Muchas gracias, linda la ardillita. Hi Rita, sorry it's taken me so long to reply - I've been just doing a little blogging as I can get to it, and my email box is overflowing! It would be great to see your progress as you crochet some of these fab designs.